Will Pacific Rim 2 Finally Dethrone Black Panther at the Box Office? Marvel's Black Panther managed to pull off the impossible again, fending off three newcomers (Tomb Raider, I Can Only Imagine, and Love, Simon) to take the top spot at the box office for the fifth weekend in a row with $26.6 million. This weekend, Black Panther faces its greatest challenge yet, with five new movies opening in wide release, with Universal's Pacific Rim Uprising, Paramount's Sherlock Gnomes, Open Road Films' Midnight Sun, Bleecker Street's Unsane and Sony's Paul, Apostle of Christ. 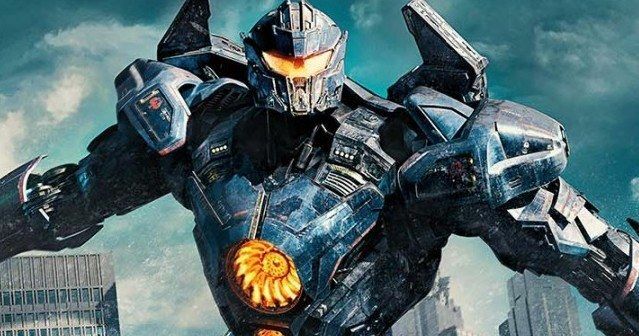 While Black Panther may still fare well and pull off a minimal decrease, we think Pacific Rim Uprising will take the top spot with $26.4 million. While most movies post greater declines from weekend to weekend the farther they get into their Box Office run, Black Panther has actually been improving from weekend to weekend, posting smaller decreases. After its record-breaking first weekend of $202 million last month, it dropped just 44.7% ($111.6 million) in its second weekend, 40.6% ($66.3 million) in its third weekend, 38.4% in its fourth weekend ($40.8 million) and 34.7% ($26.6 million) in its fifth weekend. We're predicting that it will still fare well, but the streak will come to a close, dropping a projected 40% in its sixth frame for $15.9 million. Black Panther has aligned itself to be the movie to beat at the box office for the rest of the year, with a domestic tally of $605 million and an additional $583.3 million from international markets for a worldwide total of $1.18 billion, from just five weeks in theaters. That international tally is even more impressive since it hasn't exactly fared too well in China. While the movie put up a solid debut in the Middle Kingdom ($65.1 million), it dropped a massive 81.5% in its second weekend and has earned $95.9 million, which is still the highest-grossing international market for the movie, but it is far below most Marvel movies. We're predicting that the top 5 will be rounded out by Tomb Raider ($14.6 million), newcomer Sherlock Gnomes ($11.6 million), a follow-up to 2011's Gnomeo and Juliet, and I Can Only Imagine ($9.3 million), the faith-based movie that debuted last weekend with $17.1 million from just 1,627 theaters for a $10,513 per-screen average. We're predicting the top 10 will be rounded out by A Wrinkle in Time ($9.1 million), Midnight Sun ($8.2 million), Love, Simon ($7.6 million), Unsane ($4.4 million) and Paul, Apostle of Christ ($2.1 million). Looking ahead to next weekend, Warner Bros. will roll out Ready Player One from director Steven Spielberg in wide release on Thursday, March 29, which will go up against Lionsgate's Tyler Perry's Acrimony and PureFlix's God's Not Dead: A Light in the Darkness in wide release. Take a look at our top 10 projections below, and check back on Sunday for the box office estimates, courtesy of Box Office Mojo. Is Michael B. Jordan Really Returning as Killmonger in Black Panther 2?